Cargill Cotton established a direct cotton marketing business in Australia in 2001, under the respected name of Ralli Brothers and Coney. Ralli operated internationally from its base in Liverpool for more than 180 years and has been part of Cargill since 1981. The Australian division of Cargill Cotton led the way in an International rebranding under the Cargill name during 2002. Today Cargill Cotton (UK) handles all purchases for the group that originate from outside of the US & South America. Operations are focused on East Africa where activity also extends to ginning, West Africa, Central Asia and Australia. Cargill Cotton has a strong marketing focus towards Asia with about 70 percent of sales to Thailand, Indonesia, China, Hong Kong, Japan, Korea, Taiwan and the Philippines. Cargill Cotton (USA) (formerly Hohenberg Brothers), an American company founded in 1879 and acquired by Cargill in 1979 focuses on the origination of cotton from the Americas; serving growers, ginners, buyers and textile mills in over 50 countries around the world through a network of buying, selling and shipping offices and warehouses. Cargill Cotton continues to be one of the largest and most widely recognised cotton merchants in the world, handling in excess of 3 million bales annually and enjoying the financial security afforded by a parent company with annual revenue of close to 50 billion US dollars. 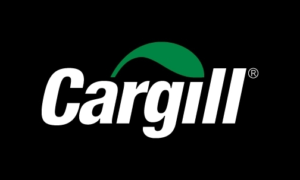 Cargill, Incorporated began life as a small grain elevator company in Iowa in 1865 and has grown into a global corporation that merchandises, processes and distributes agricultural, food, financial and industrial products and services throughout the world. The group now employs approximately 159 people in 68 countries. Cargill Cotton has a long and proud tradition in cotton and maintains arguably the industry's premium reputation as a quality shipper. The origination of Australian cotton fits perfectly with these existing marketing networks. Our focus is to procure Australian cotton directly from the grower with an emphasis on open communication, transparency and integrity in all our dealings.